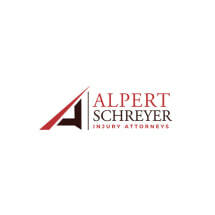 Alpert Schreyer features an office in Waldorf, Maryland. From here, we handle personal injury and criminal defense cases for individuals throughout the state and Washington, D.C. Our lawyers recognize that your future likely hangs in the balance in these cases. That is why we take an aggressive approach and always prepare for trial. You can be confident that we will fight for your rights every step of the way. You can turn to our Waldorf law firm for a full range of criminal defense services. Our attorneys defend against all misdemeanor and felony charges in state and federal court. Have you been accused of drinking and driving, a drug crime, assault or any other offense? With decades of experience, we are prepared for any challenge. Over the years, we have handled many high-profile cases for people like you. For decades, victims of negligence have turned to our lawyers for help. Whether your case involves an auto accident or any other type of accident, we will stand by your side. We help victims of head injuries, spinal cord injuries and other types of serious injuries. We have recovered many millions of dollars in these cases. Our lawyers have taken on many major cases, including the Fort Totten Metro train crash and Accokeek drag race crash.